Here's another great handmade gift. 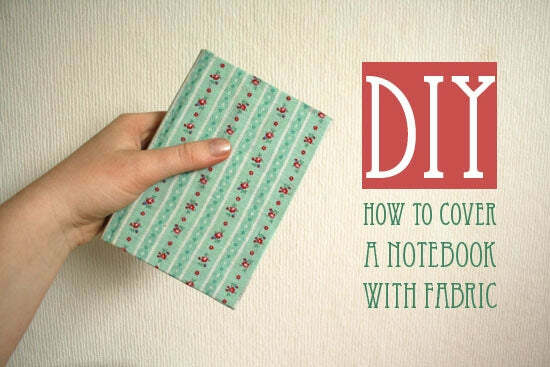 The perfect way to use up those precious scraps of cute fabric. I have a box of those; cute cotton prints that I paid too much for, that are too small to do much with, but I can't bear to get rid of. I found this picture over a marthastewart.com. 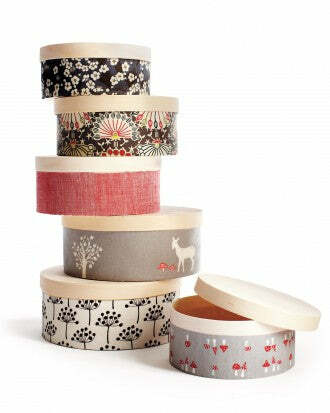 You can usually find these little wooden boxes at a craft supply store, or sometimes, at the dollar store. Cut the fabric to fit the sides, allowing about a quarter inch overlap at the fabric join. Then brush an even layer of glue over the box (Mod Podge or white school glue). Fit the fabric snugly. Use a little glue at the fabric seam. Allow to dry and trim with a sharp craft knife. This same idea works nicely for journals as well. You'll want to select a nice contrasting paper for the end papers on the inside covers. I find that gluing end papers on the inside cover also helps straighten them out; they do tend to warp if you glue them only on one side. You can often pick up inexpensive blank journals indifferent covers on sale. Here's a nice tutorial from By Wilma. With both of these projects, an even layer of glue, but no thicker than necessary, is key. And of course, both projects work just as well with a sturdy craft paper instead of fabric. The surface will be a little more delicate.